The Initiative Foundation is proud to host a variety of Partner Funds for families, businesses, nonprofit organizations and volunteer-led groups. Our Partner Fund program allows local leaders to champion local causes while we provide the 501(c)(3) public charity infrastructure necessary for donor gifts to receive the highest possible charitable tax deduction. 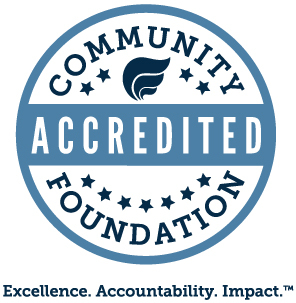 From community foundations to educational funds to special project and field-of-interest funds, the Initiative Foundation and its Partner Funds are working together to ensure strong and vibrant communities throughout Central Minnesota. Initiative Foundation President Matt Varilek recently announced we have hit more than 100 Parter Funds! With everything from donor advised funds to community and education funds, the Initiative Foundation is well equipped to assist with setting up a Partner Fund. Watch the video and learn more! Click on the fund name to learn more. Contact Community Philanthropy Manager Kate Bjorge to learn how you can support a Partner Fund. Once you have registered for your first semester, please complete this form in its entirety. Please attach proof of registration such as a confirmation notice from your college. Upon receipt of this completed form and proof of your registration for your first semester, we will begin to process your scholarship payment. The check will then be mailed to your school to be applied to your account. Please allow 4-6 weeks for the payment to be processed. If you still do not see the credit to your account, please contact the financial aid officer at your school or the scholarship coordinator at the Initiative Foundation at (320) 632-9255. You must request payment within 18 months of the date of your award letter or the scholarship becomes null and void. Thank you, and good luck in the pursuit of your education! We can help you turn good ideas into good work. For those who wish to simplify giving or fundraising, the Initiative Foundation hosts a full array of charitable funds. Creating a fund is an attractive alternative to starting a family foundation or nonprofit organization, which requires many administrative and legal responsibilities. Our “Turn Key” approach allows you to enjoy the rewards of giving without these burdens. We provide tax-deductible donation and grants administration, investment management, gift processing, marketing assistance, and consulting services. The Initiative Foundation hosts a variety of funds in partnership with families, organizations and volunteer groups. Funds can be permanent endowments or liquid cash accounts. For 501(c)(3) nonprofit organizations that wish to develop a permanent funding stream and accept planned gifts from donors. For communities that wish to unite the philanthropy of donors and develop a permanent fund to support local priorities. For government or economic development organizations that wish to utilize Foundation staff and administrative resources to make business financing investments.